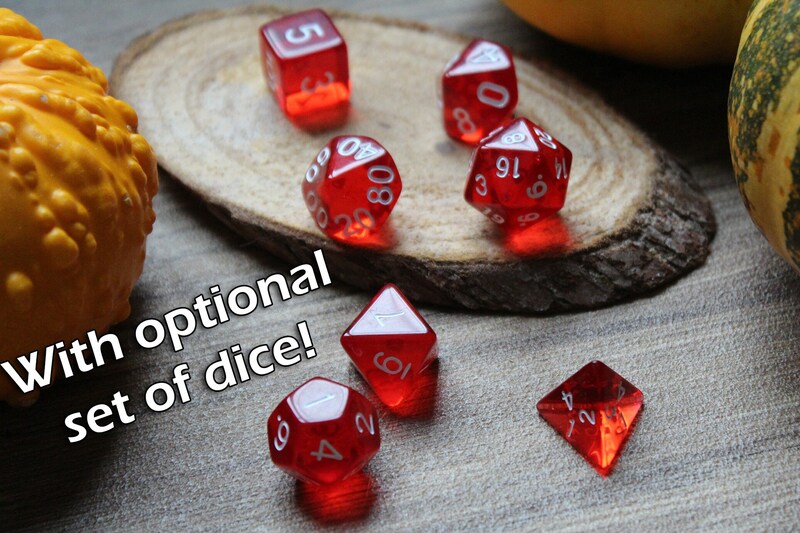 It's so much fun to collect beautiful dice for table top games. But how to keep them safe while going to friends for playing? 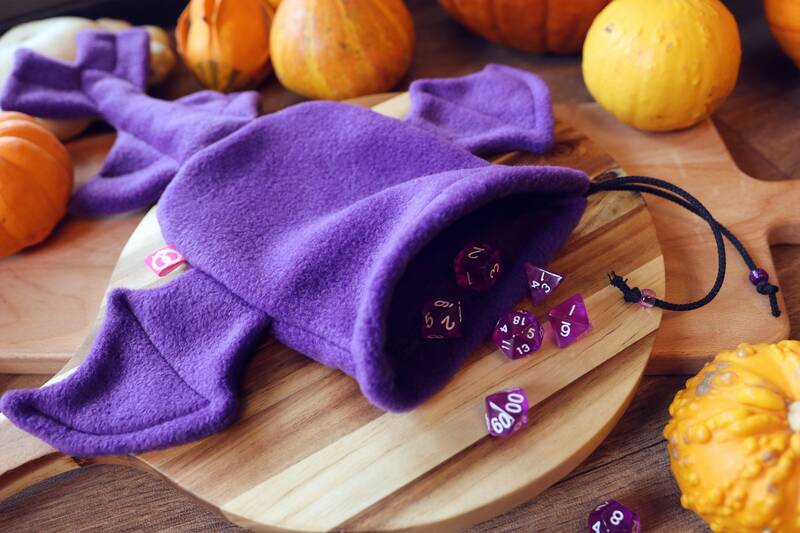 This cute handmade dicebag will keep them all safe. Of course you can also use it to store other precious treasures like Carcassonne meeples, marbles, jewelry, runestones or even crystals! Whatever you want. 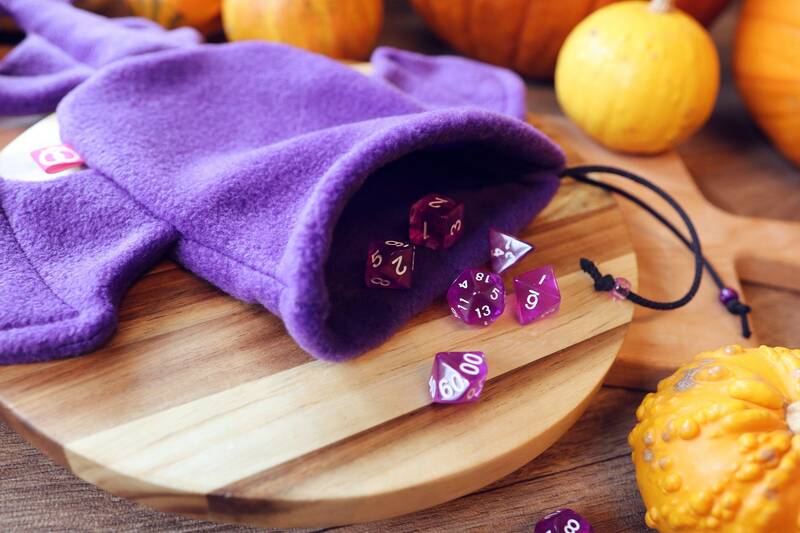 Make this a perfect gift for a game loving friend by also adding a gorgeous set of dice! 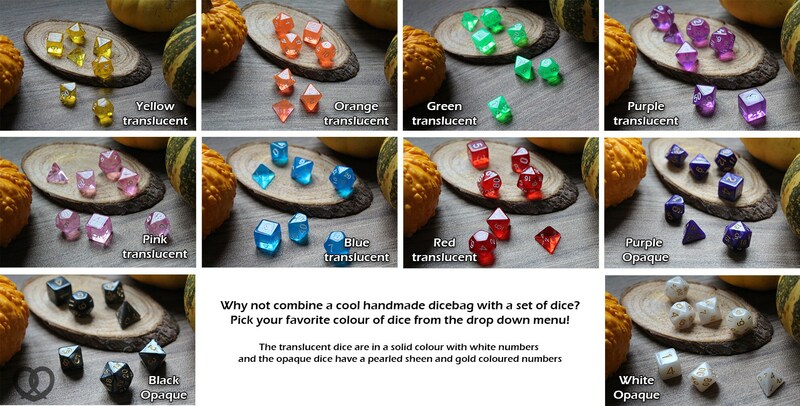 Just pick your favorite colour for the dice from the dropdown menu! 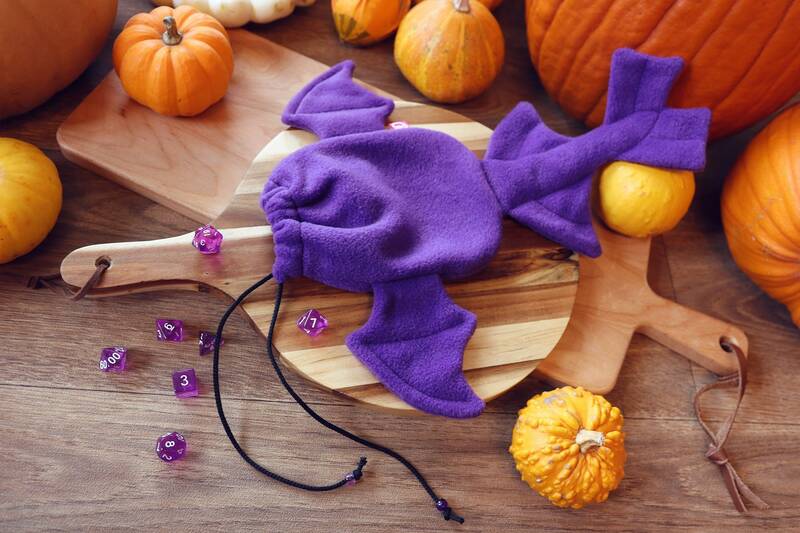 If you choose the option 'just the bag' it will come without a set of dice. 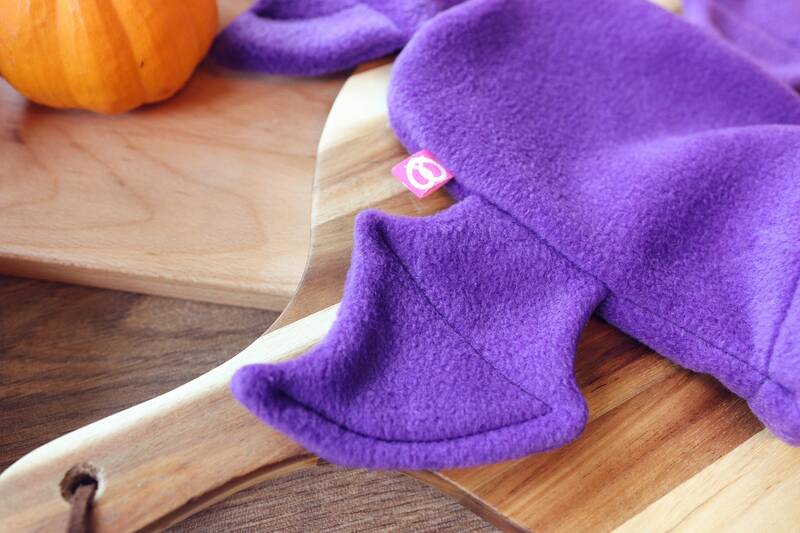 The bag is handmade with soft fleece fabric. It closes with a drawstring that has some beads on it. The bag is made to look like a dragon. It has a cute dragon tail and dragon wings. 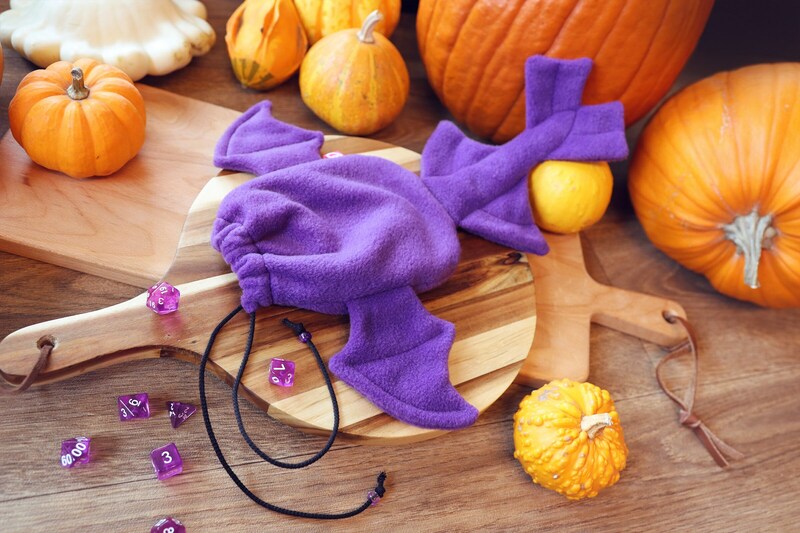 Just what you need to be the star of your DnD campaign! The bag is machine washable though I'd recommend it to be washed at max. 40 degrees celcius. Of course the best way to wash it is by hand. About shipping: This item will be shipped in an enveloppe. It ships FREE worldwide! There will be no tracking on the shipping.